It’s been a good week for Goodbye Kansas Studios. 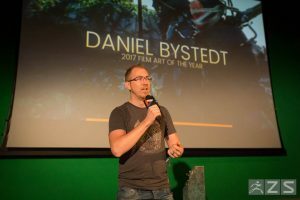 On Saturday October 7th, our Senior Character Designer Daniel Bystedt won the ZBrush Award “Film Art of the year” in LA for his character work on the Unity demo “Adam“. Three days later – on October 10th – Goodbye Kansas won the “Best Animation” award at Roygalan in Stockholm, for the “Raid: World War II” cinematic trailer. 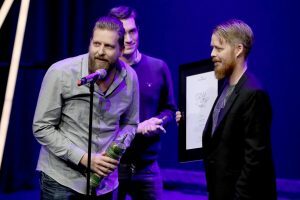 Director Fredrik Löfberg, Producer Thomas Oger and Executive Producer Jörgen Lilja accepting the Best Animation Award at Roygalan.